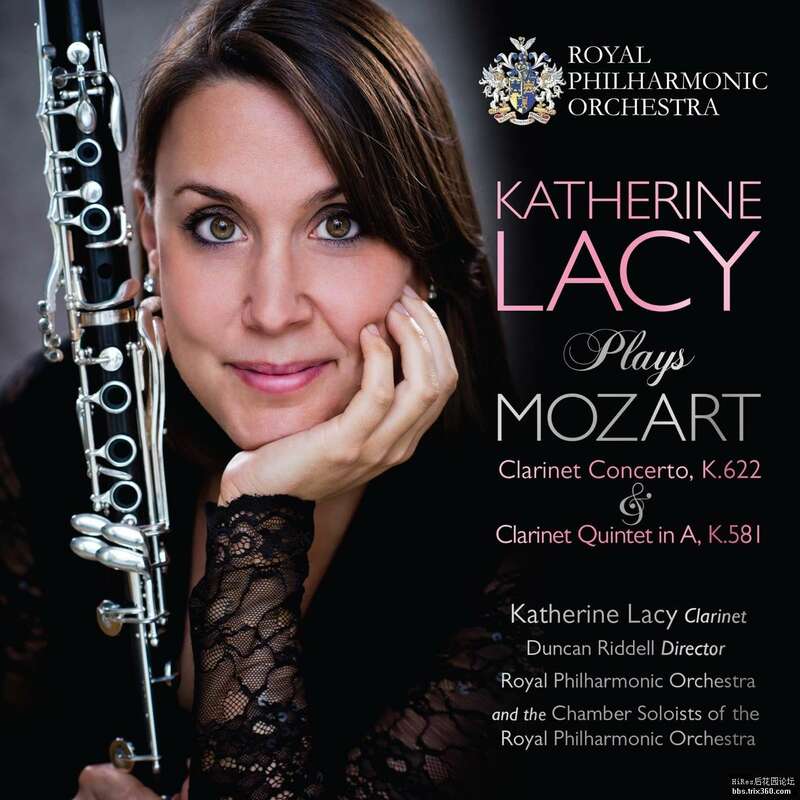 Mozart achieved an exalted level of musical perfection with his Clarinet Concerto, conveying the most profound emotions and a stream of seamless musical poetics. It remains one of the most popular pieces in the classical repertoire. The Clarinet Quintet, meanwhile, sparkles with beauty - the liquid grace of the opening movement, the Larghetto's timeless poise, the playful mannerisms of the Minuet and the exquisite theme and variations finale. The essential humanity of Mozart's creative spirit is everywhere apparent in this recording, and his music remains a guiding beacon of sanity in an increasingly uncertain world. 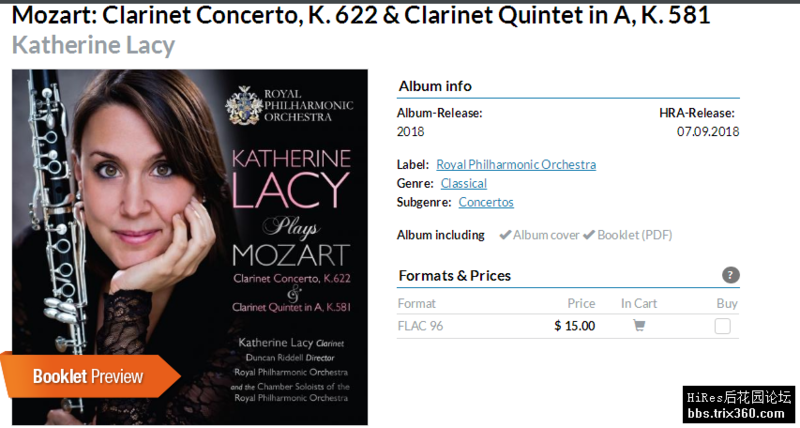 This repertoire is the perfect showcase for the virtuoso talents of Katherine Lacy, the acclaimed principal clarinettist of the Royal Philharmonic Orchestra which accompanies her in the Mozart Clarinet Concerto, directed by Duncan Riddell (the Chamber Soloists of the Royal Philharmonic Orchestra perform in the Clarinet Quintet).